Embrace convenient, confident, hassle-free 42-inch printing. 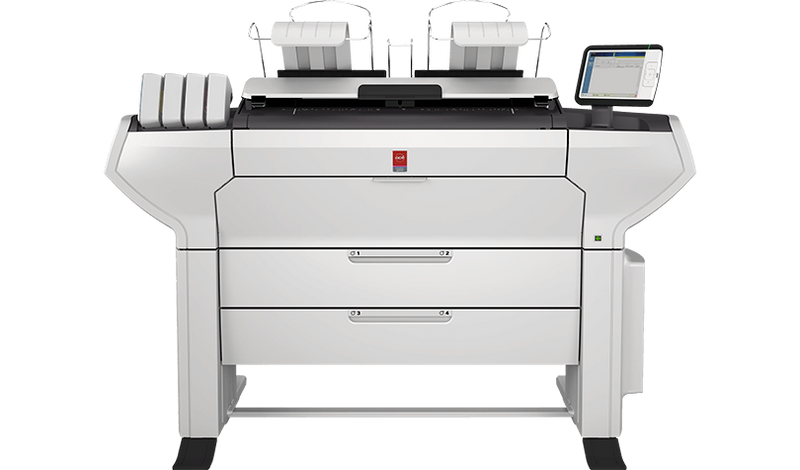 With reliable quality honed by 10 years of proven technology, the Océ ColorWave 3500 is ideal for straightforward, worry-free wide-format printing. Versatile media handling and flexibility – CW3500 is CAD, GIS and GA media compatible. Robust print quality regardless of media with dependable Océ CrystalPoint technology. Work non-stop with up to 4 rolls, 800m input capacity, true print preview and perfectly tuned folder finisher.